If your domain is registered with Go Daddy , please follow this tutorial to guide you through the DNS changes required to activate your VIP PowerNet account. 1. Visit http://www.godaddy.com and click on the 'My Account' link located in the navigation bar near the top of the screen. 2. On the Login page, enter your Go Daddy Login Name or Customer Number and Password and click 'LOGIN'. 3. On the main menu click 'Manage Domains'. 4. 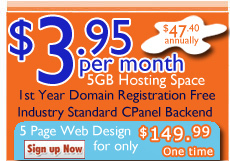 Select the domain name you wish to manage. 6. Enter your VIP PowerNet assigned primary nameserver as Name Server 1 and your secondary nameserver as Name Server 2 and click 'Save Changes'. 1. On the Manage Domains menu click Manage Contacts. 2. On the Technical Information page, enter the VIP PowerNet Technical contact information and click 'Save Changes'. 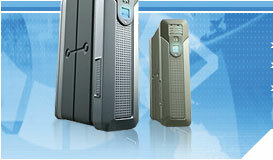 Organization: VIP PowerNet Technology Inc.
3. Your domain DNS and technical contact has been successfully changed. Your VIP PowerNet account will be activated within the next 24 hours.